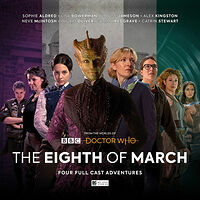 Note: Exclusively available from the Big Finish website until May 31st. 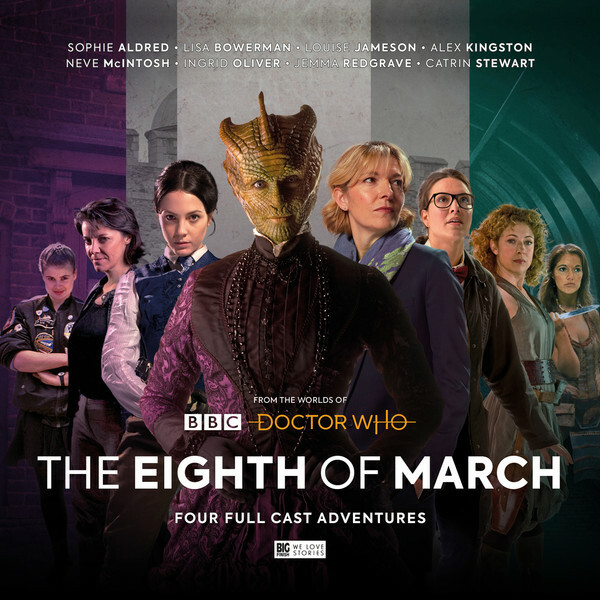 A box set of audio dramas starring female Doctor Who characters in 4 stories written by female authors, to mark International Women's Day on 8th March. The characters featuring in the stories include Ace, Bernice Summerfield, the Paternoster Gang, River Song, Leela, Kate Stewart and Osgood. From Victorian London, to an intergalactic convention, from the offices of UNIT, to an impossible university library — on the 8th of March, four very different adventures will unfold.